Jason L. Rothman is a partner in the Firm and concentrates his practice in construction law, commercial and residential leasing, and landlord/tenant and commercial litigation. He represents owners, contractors, vendors, design professionals, and sureties in the drafting and negotiating of a wide variety of construction agreements—including construction management agreements, prime contracts, architect agreements, close-out agreements, agreements with lenders, and subcontracts. He also regularly represents a wide variety of clients in construction disputes involving mechanic’s liens, extra work claims, project impacts, delays, wrongful termination, performance and payment bond claims, property damage, personal injury, and claims involving the Labor Law and prevailing wages. Mr. Rothman also represents business owners, property owners, commercial and residential landlords, and tenants in drafting and negotiating leases or any other real estate and business transactions. He also has extensive experience in prosecuting and defending a wide variety of landlord/tenant and commercial litigation matters, including shareholder derivative actions and equipment sales and leasing claims. Mr. Rothman successfully obtained a judgment exceeding $1.8 million on behalf of his client with respect to a claim regarding the sums due in connection with the use of an electronic sign on his client’s property. 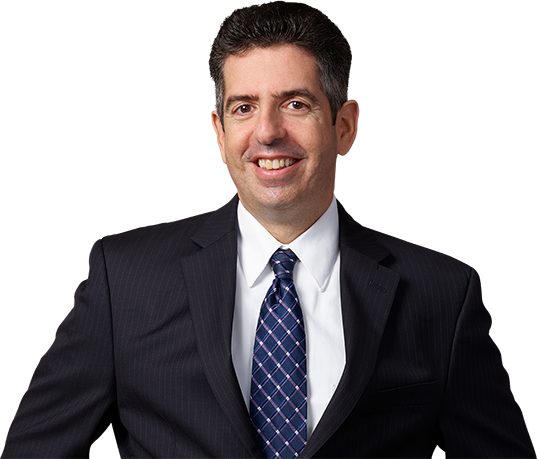 Mr. Rothman has been published in the New York International Law Review and is the Vice-Chairman of the Construction Law Committee of the Nassau County Bar Association. He also frequently lectures on construction law issues to attorneys and construction professionals.